A new trailer for Final Fantasy 12: The Zodiac Age focusing on the game’s Gambit System has been released. This system in Final Fantasy 12: The Zodiac Age utilities customizable AI “Gambits” allowing the player to adapt to any situation during battle. Players can freely develop their characters and skills with the Zodiac Job System, which is an improved character leveling system allowing each character to battle with two of 12 Final Fantasy jobs. 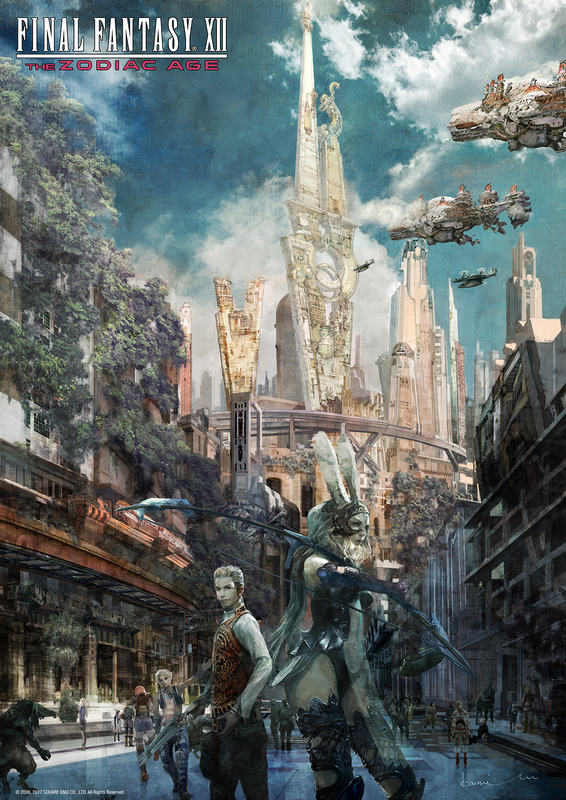 In addition to the trailer, a new piece of artwork depicting the city of Ivalice, and created by artist Isamu Kamikokuryo, was also released. It’s below. Read what Alex thought of his time with the game here, which also includes an interview with producer Hiroaki Kato. Final Fantasy 12: The Zodiac Age will be available July 11 for PlayStation 4.